Last night we had our first concert in the space we’ve been rehearsing in all week in Lampeter. Everyone was a little on edge and excited as it was our first one, so it wasn’t perfect, but the energy felt great! We’re currently travelling to Bangor for our next one this evening and I’m really excited as I haven’t been to this hall since my first year in 2009. I feel the whole programme has really come together since Paul Daniel arrived to conduct on Friday. The pieces now make a lot more sense to me and I’m starting to feel like I’m able to get my teeth into them, rather than skating around, trying to play some of the right notes in the right place… I have grown to really enjoy playing Rite of Spring (I have to admit that I wasn’t 100% keen on it when I had my first listen) and I think it’s my favourite piece in the programme (and one of my favourites I’ve ever played on the NYOW)! After playing in Bangor this evening, we’re heading to Aberystwyth tomorrow to listen to the composers concert, before on to Hereford on Thursday. I’m really looking forward to this concert as it’ll nice to be be back playing at the Three Choirs festival there. Grace Notes: How to survive playing in the summer heatwave. If you’re in the UK, you may have noticed that we had a little heatwave a couple of weeks ago. I would have loved to be outside enjoying the sunshine, but instead I was stuck inside from 2.30-10.30pm every day doing the Trinity Laban Opera. Not only was I missing the sun, but I was in a dark windowless room, which about 30 stage lights pointing in all directions nicely heating up the place. It was almost unbearable! So in case you ever end up in a situation like that, I decided to write down some tips of how to survive playing in hot conditions. Dress sensibly. I wrote a whole post on concert dress here, but you have to be sensible when it comes to dressing smartly in the heat. We had to wear floor length black (which I think looks the smartest), but that doesn’t have to mean a super thick concert dress. Go for something like a one-layer maxi skirt that is cooling and loose. Comfort should come first rather than wearing than your brand new skin-tight jumpsuit and the performance suffering because you’re so uncomfortable. Drink lots and lots! I have a really bad habit of not drinking enough water throughout the day, but I make a point of making myself drink if it’s hot. It’s even more important if you’re having to concentrate for a performance that you don’t find yourself getting all faint and woozy, so drink as much as you can and if you’re allowed take a bottle of water on stage with you and drink in your rests! Try not to dwell on it. People all around you will be complaining about the heat, but the more you think about it, the worse you’ll feel. Try and focus on the performance, and get lost in the music, not bogged down by the heat. Don’t count time passing. You won’t (or shouldn’t) have your phone on stage with you, but if you wear a watch, or there is a clock in the room, don’t watch every second. As the saying goes ‘a watched pot never boils’, so the more you can restrain yourself from wanting to look at the time, the faster the performance will feel and the sooner you can get out into the fresh air. Hopefully if you ever get stuck playing a concert in a stupidly high temperature, these tips may help. 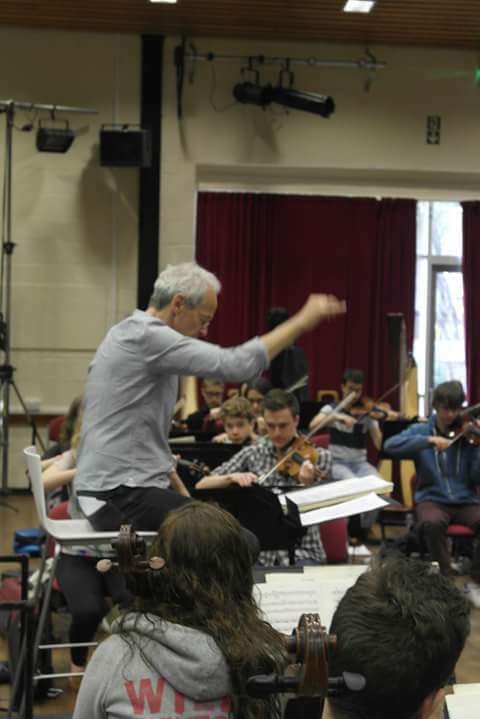 I’m currently back in Cardiff preparing for my last ever NYOW course which starts in less than a week! I still can’t quite believe that my time with the orchestra is nearly over! 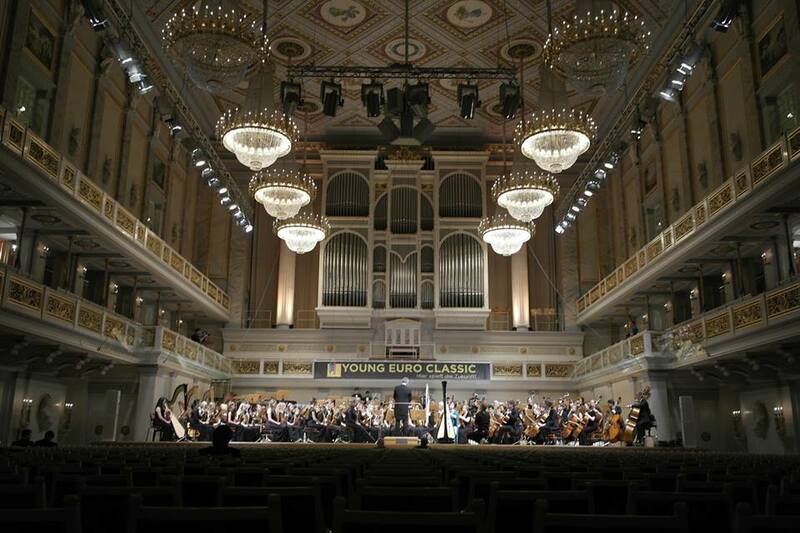 In the summer of 2013 I went on tour with the National Youth Orchestra of Wales to Germany, performing a series of concerts in a number of stunning locations. This was one of the first tours I had been on that had been this intense. We had a concert every night and spent large chunks of the days travelling on coaches. This meant, sadly, that we didn’t have much time to explore, but in a way this didn’t matter as we were caught up in the excitement of the concerts and the venues. One of the pieces was a commission written by the harpist Catrin Finch. It is a harp concerto based on the life of Hedd Wyn (the Welsh poet who won the Bard’s Chair at the National Eisteddfod in 1917 posthumously after being killed during World War 1) and the different sections represent different events in his life. Over Christmas, a program was broadcast on S4C about how Catrin Finch wrote the work by finding out about Hedd Wyn’s life. Having only seen the piece in its finished form, it was very interesting for me to watch it being constructed. The program charts how she visits his old house and talks to the caretaker to find out about his life. It then shows Catrin collaborating with a teacher at the Royal Welsh College of Music and Drama to realise her ideas into a full orchestra score. Then we (the NYOW) make an appearance. It shows how Catrin worked with the orchestra to fine tune the piece and show us how much this work meant to her. 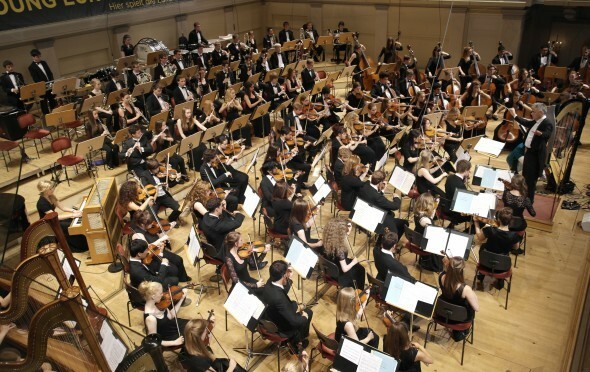 The second half of the program is the performance in the Berlin Konzerthaus. I think that concert is one of the best I have ever taken part in. The audience filled the whole hall and we got an incredible response from everyone. The concerto went down particularly well and the audience enjoyed the Welsh theme running throughout the program. The concerto features extracts from Hedd Wyn’s poetry (in Welsh) at the start of each if the four sections and the two encores were also special because both are Welsh songs and feature the orchestra singing (Grant Llewellyn the conductor decided to include the singing after hearing us belting out welsh songs in the bar in the evenings) in the Welsh language. 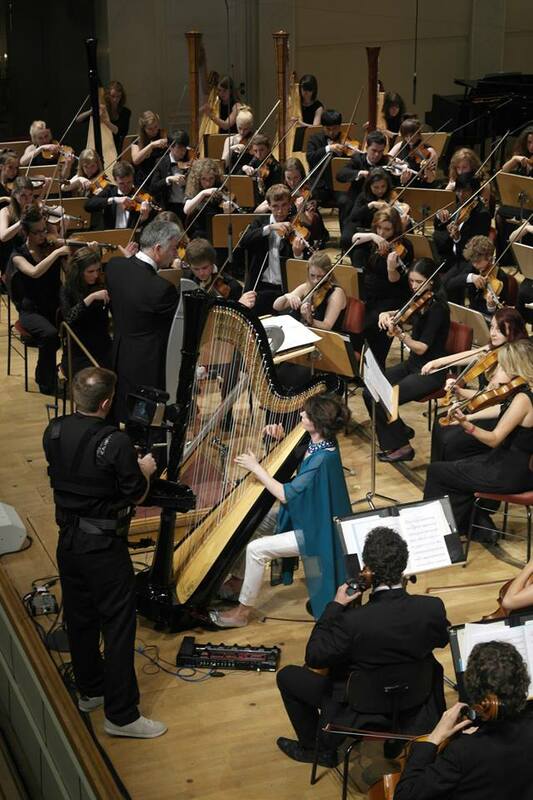 I think the piece is very effective and showcases the orchestra and harp beautifully. The program is still available to watch on S4C Clic and BBC iPlayer as I post this and it will be for another 20 days or so. However if you’re watching from somewhere not in the UK I’m not sure the link will work for you, so here is the piece on soundcloud, using the same recording from the Berlin concert. I hope you enjoy hearing this concerto as much as we enjoyed performing the concert. This piece is particularly poignant now because of the 100 year anniversary of the First World War, and I think expressing one of the many stories from that time through music is a particularly effective memorial.